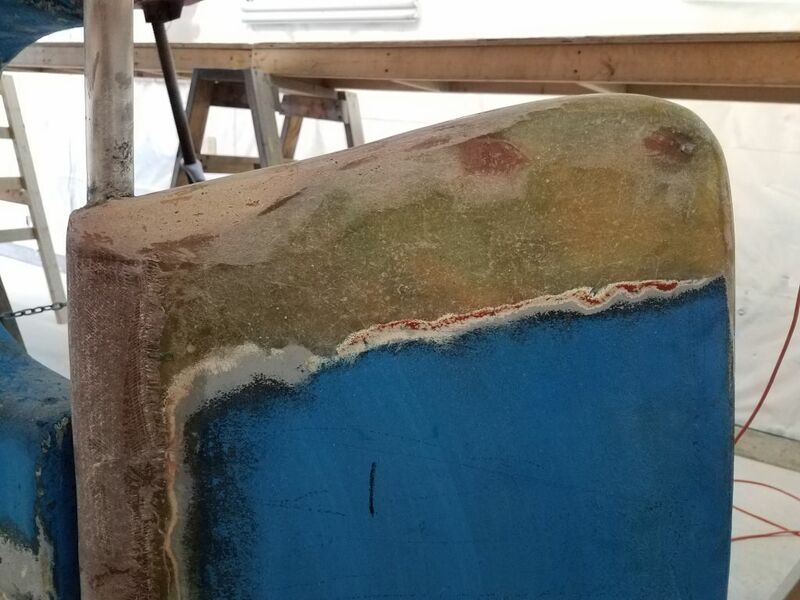 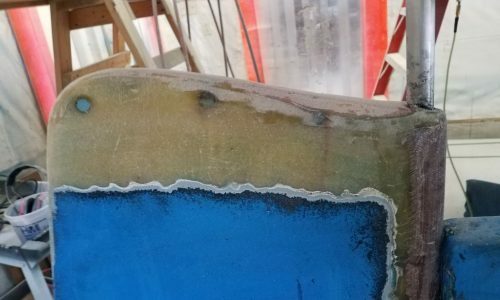 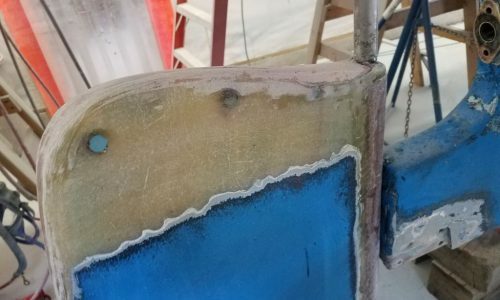 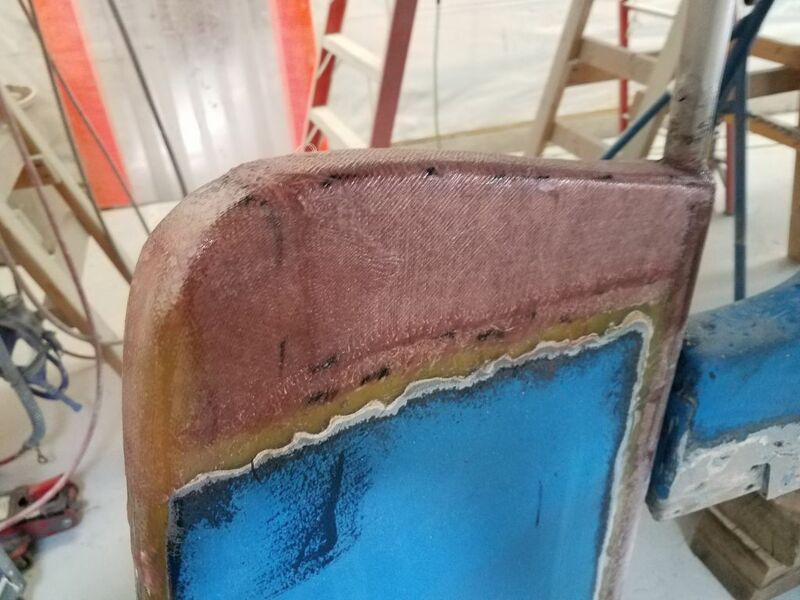 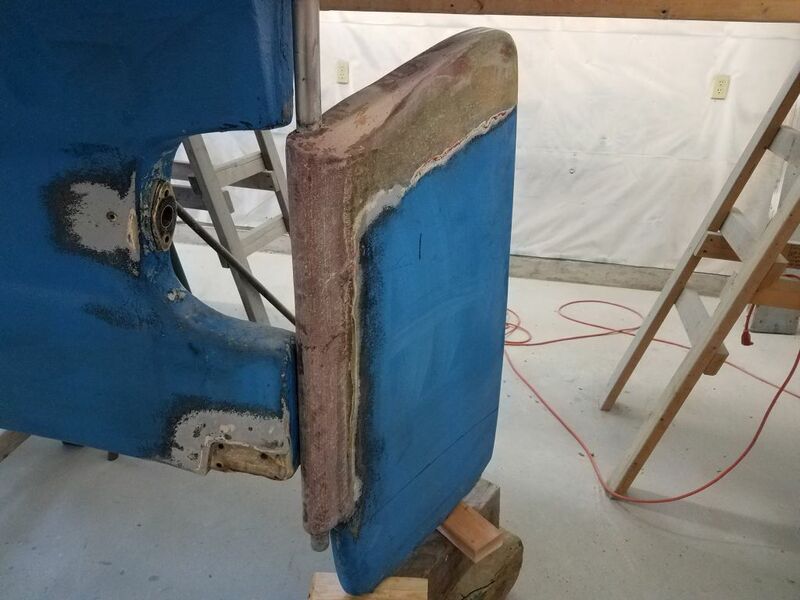 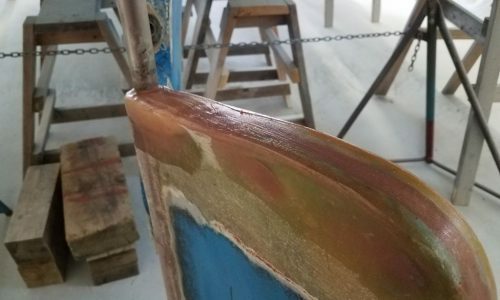 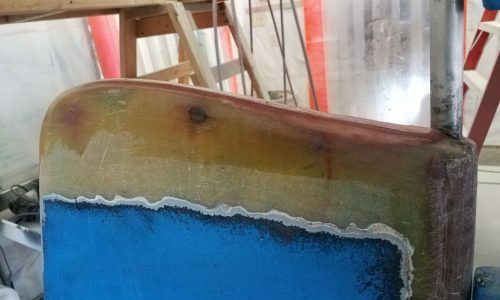 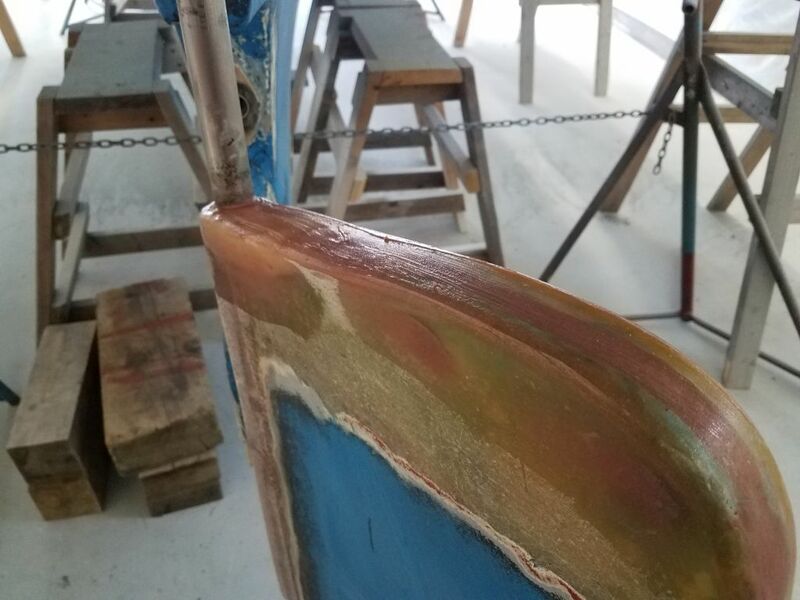 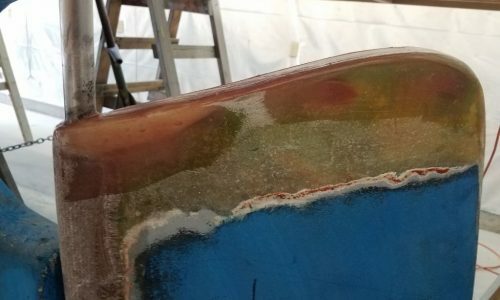 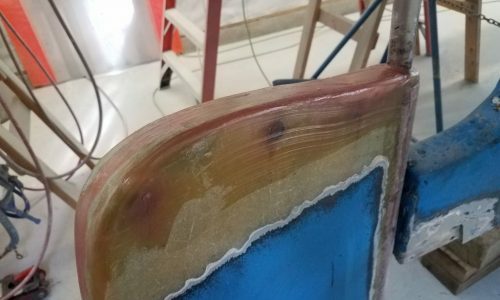 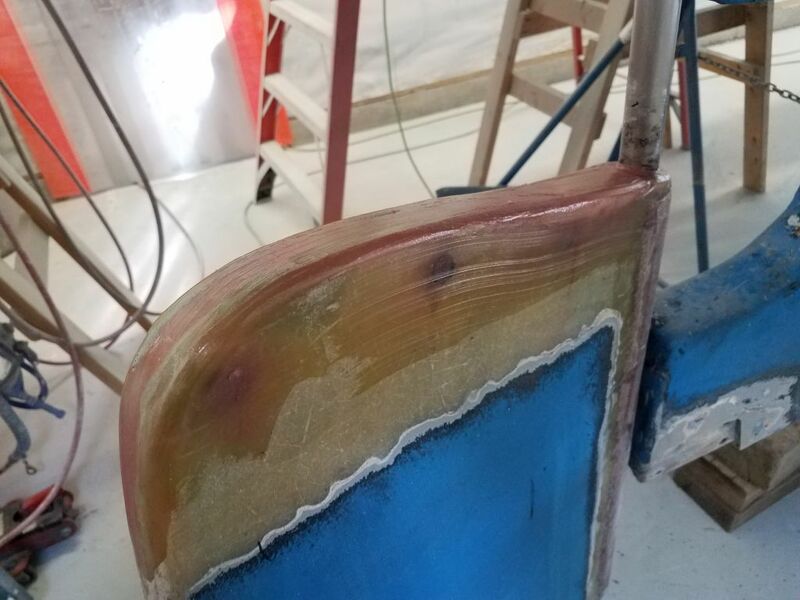 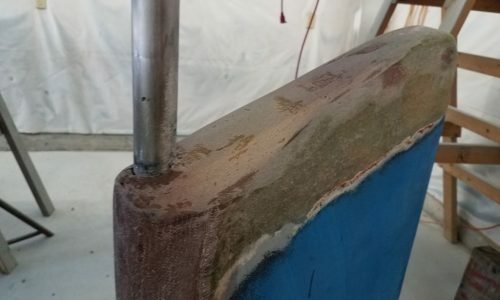 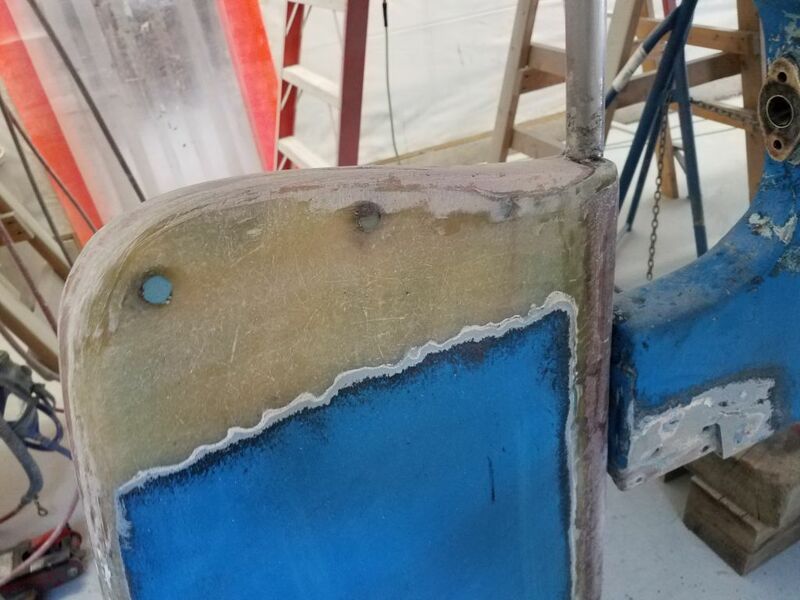 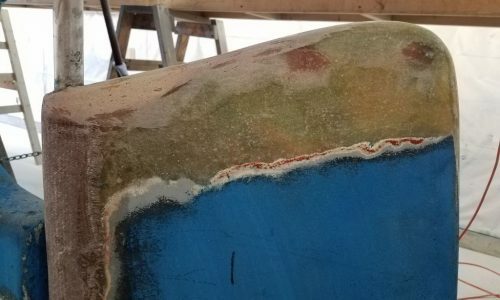 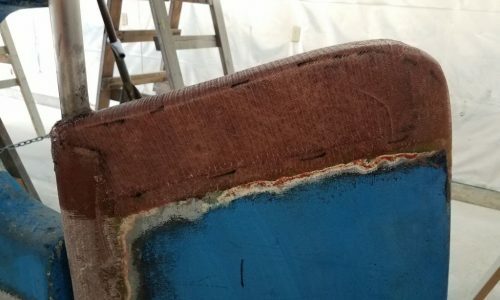 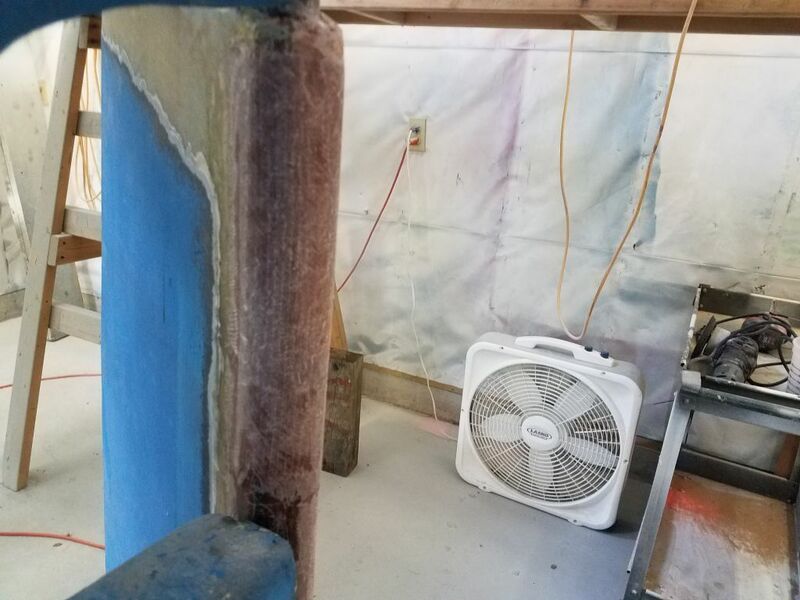 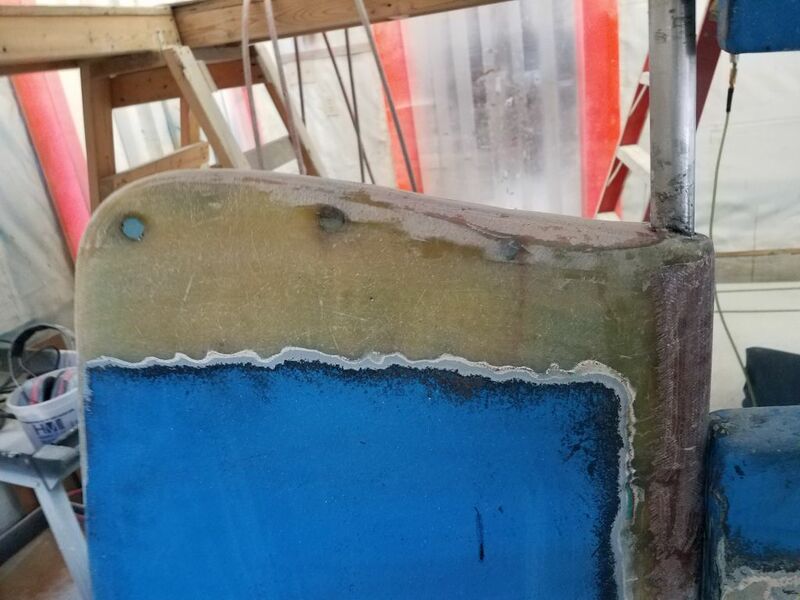 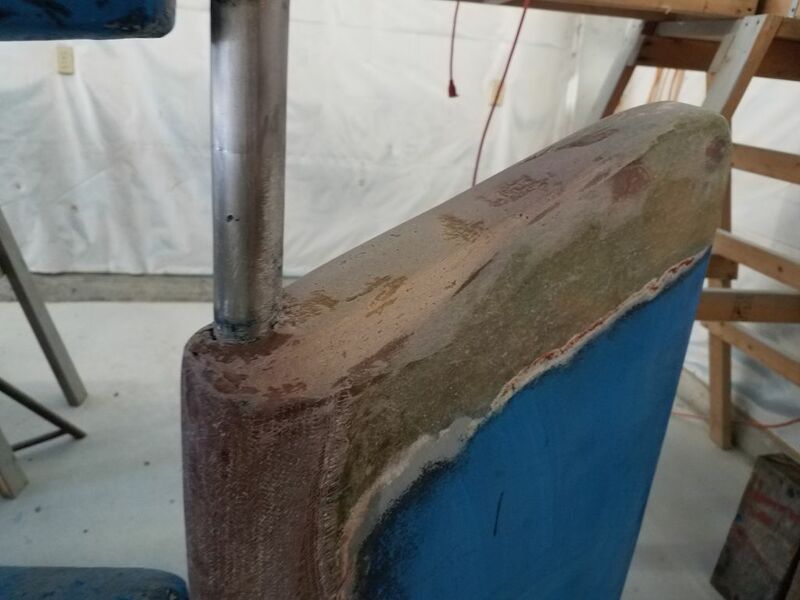 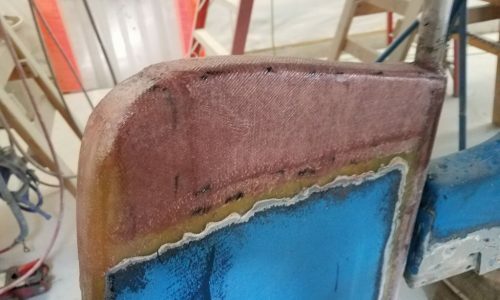 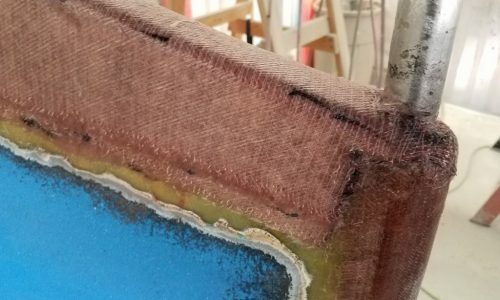 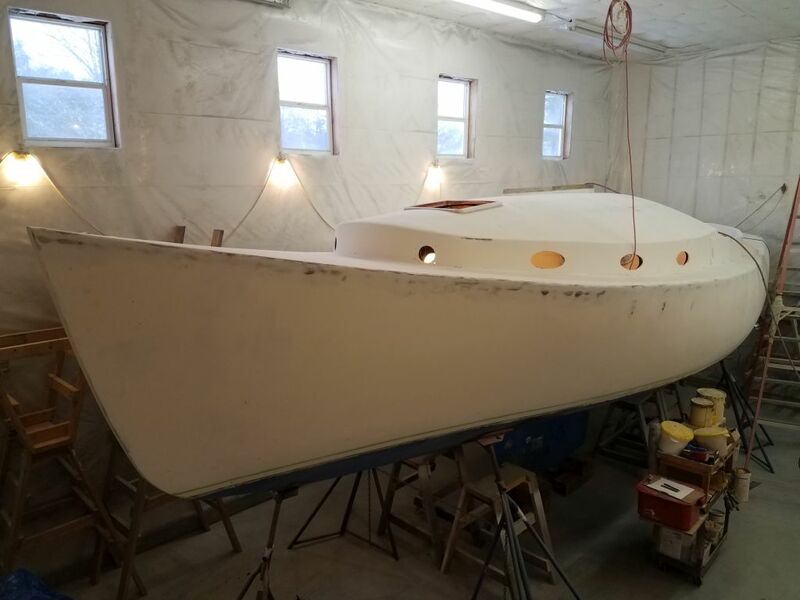 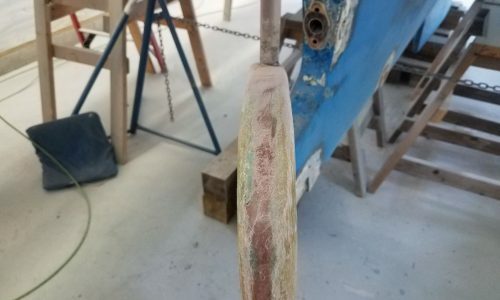 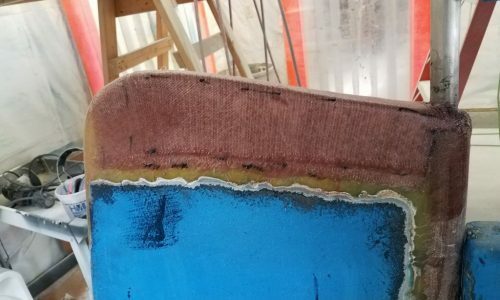 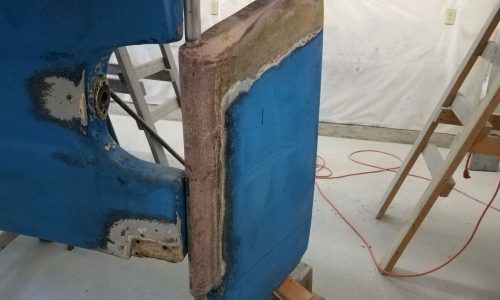 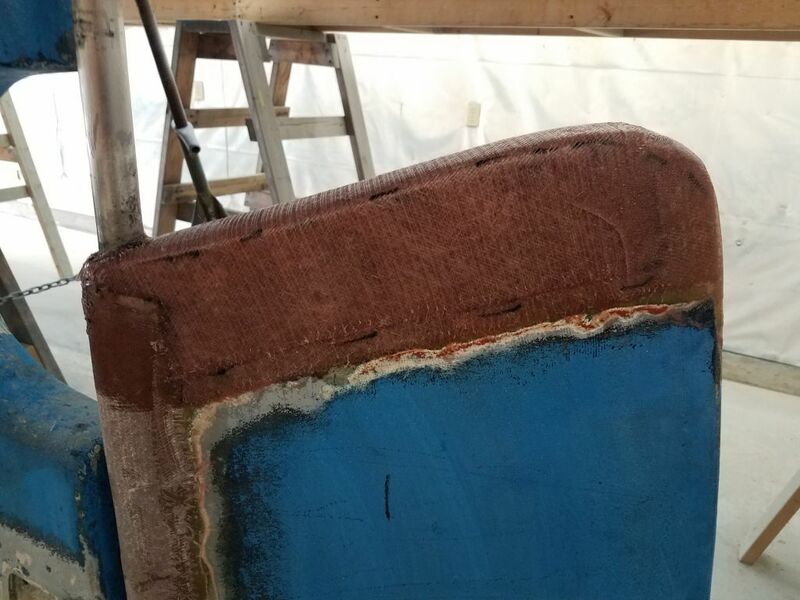 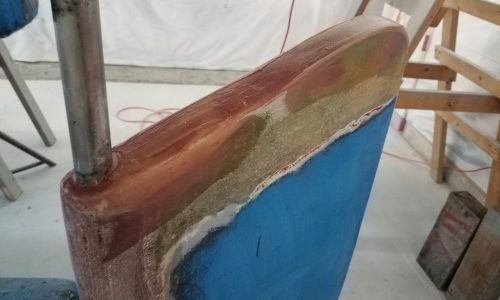 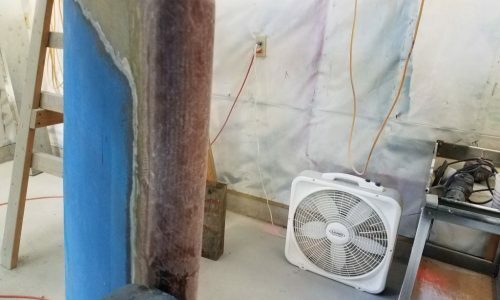 I began with a light sanding of the most recent round of fiberglass work on the rudder, including the upper portion of the leading edge and the top edge of the blade, bringing the fill work down to the final contours at the top. 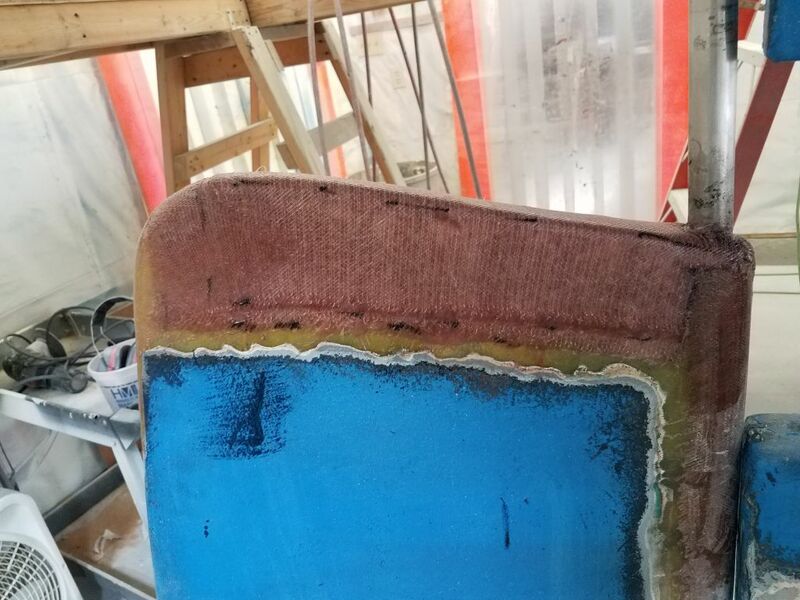 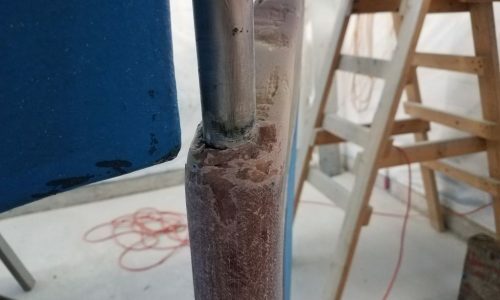 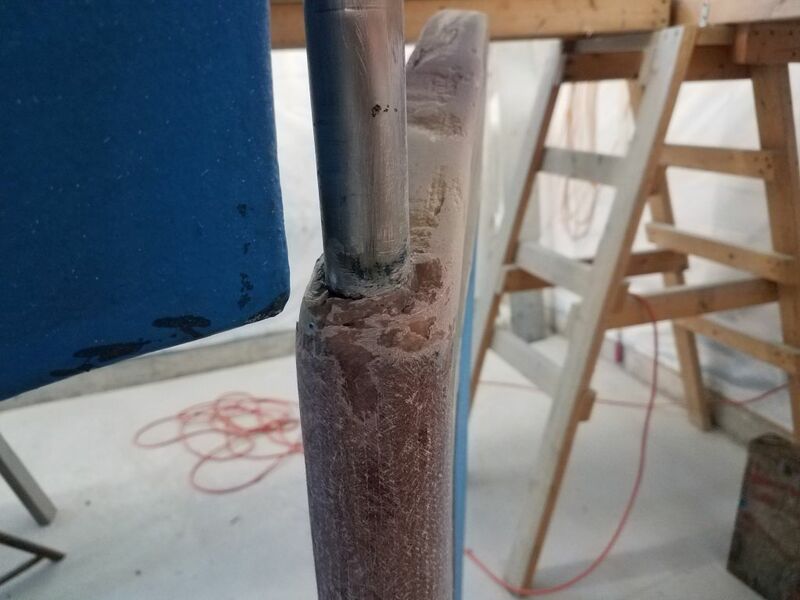 Some slight depressions remained on top, and around the rudder post, so I installed some thickened epoxy over these areas to do the final smoothing. 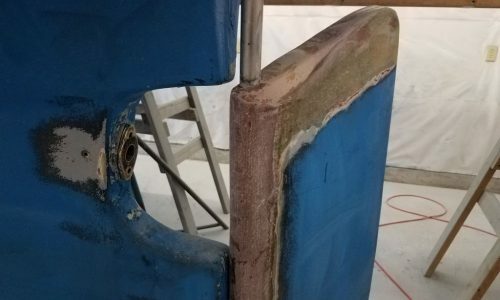 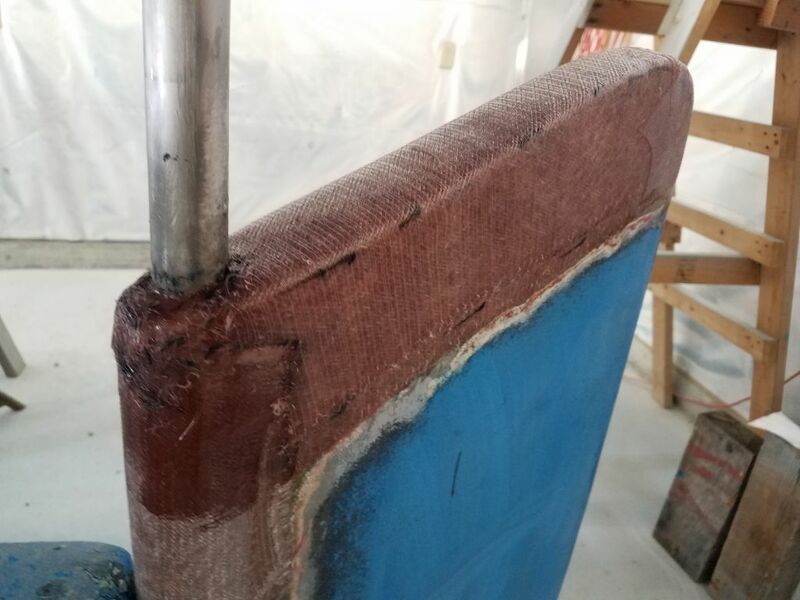 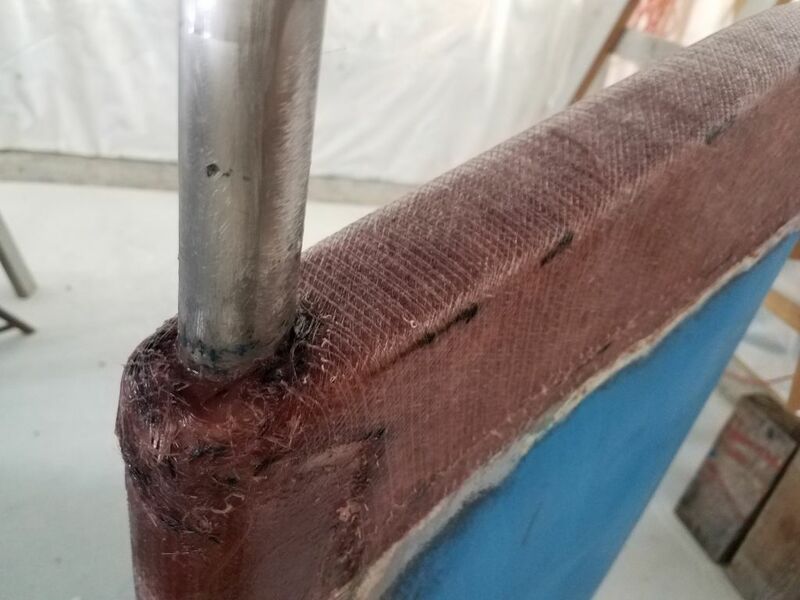 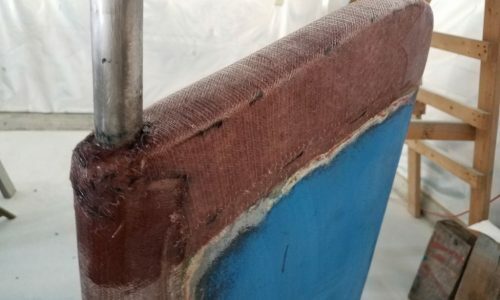 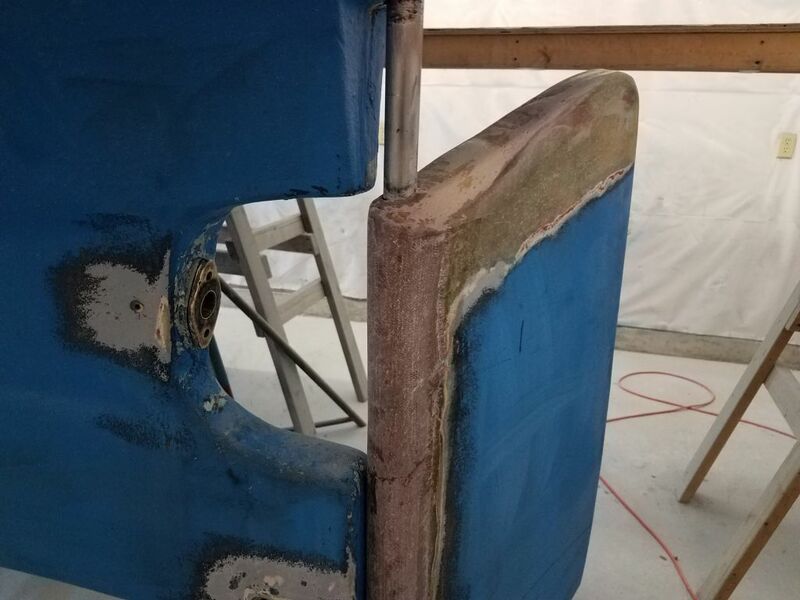 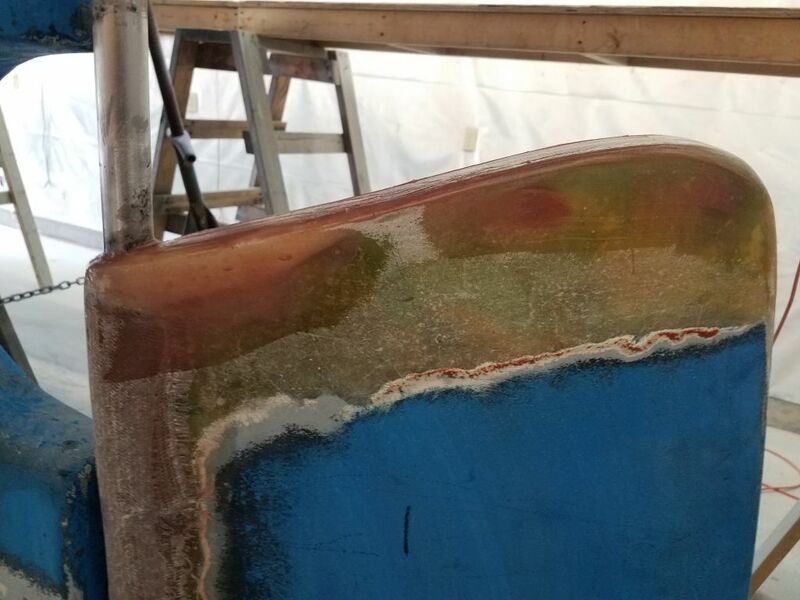 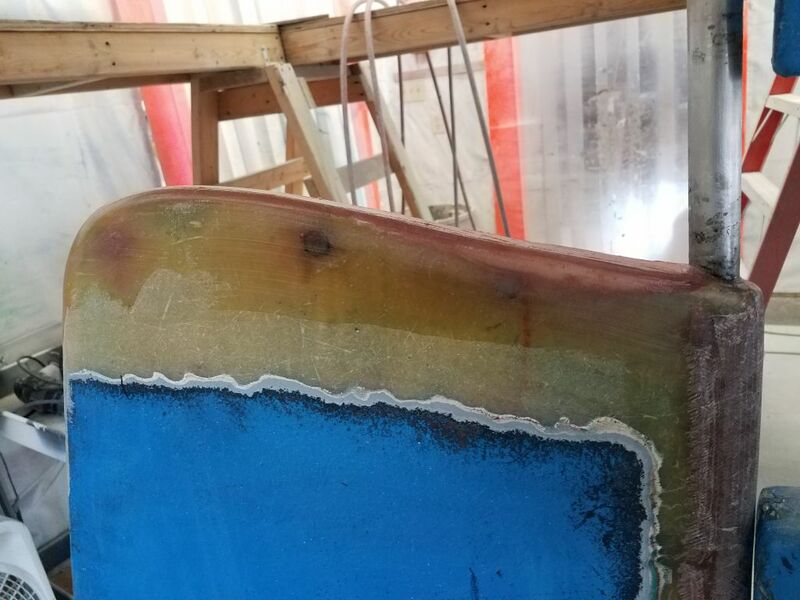 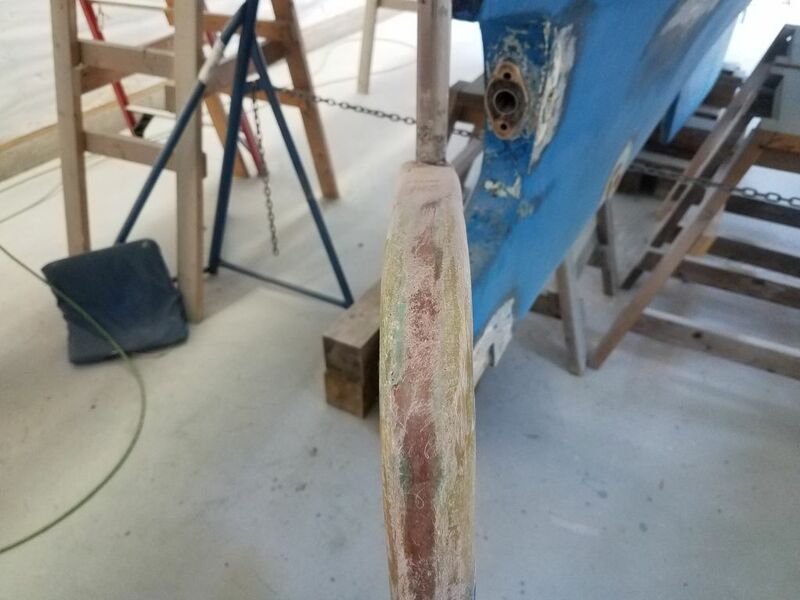 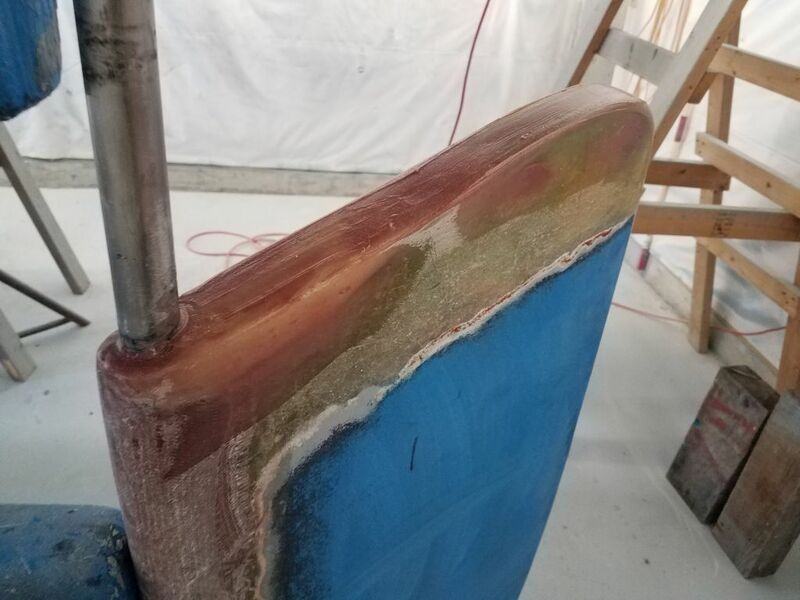 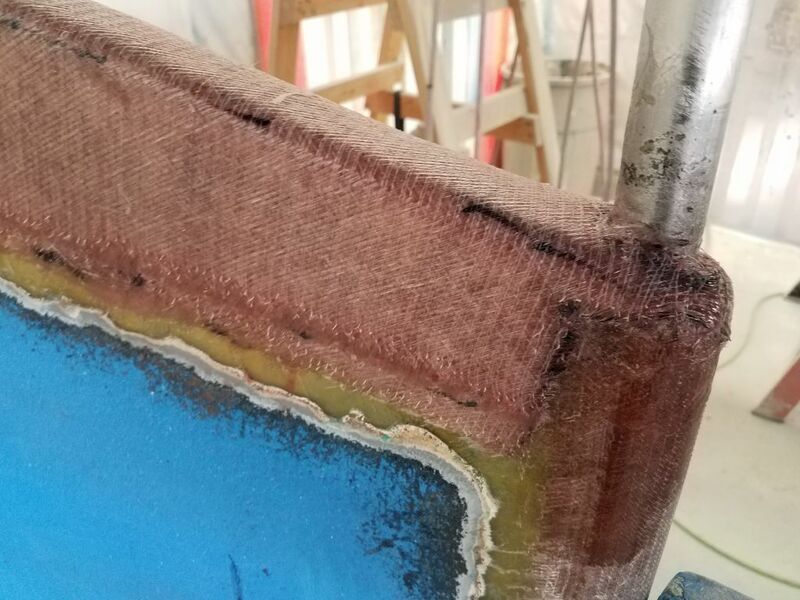 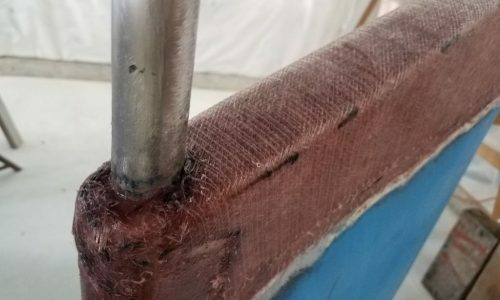 Afterwards, and while the new epoxy was still uncured, I wet out and installed two layers of 1708 fiberglass over the top of the rudder, wrapping around the rudder post and overlapping slightly the new glass on the leading edge.